When your washer doesn’t turn on, no longer drains, or you experience any other problem, it can more than just an inconvenience. At Max Appliance Repair, our team puts your needs first, and we ensure that you have use of your washer before you know it. No matter the problem or type of washer, our team is available throughout the Greater Houston Area for speedy, professional service. When your washer needs repairs, it’s important to understand the true value of quality repairs. Your washer deserves the very best, and Max Appliance Repair is here to do just that. Our technicians not only perform prompt repairs, but we also complete these repairs in the most effective manner while paying close attention to even the finest details. 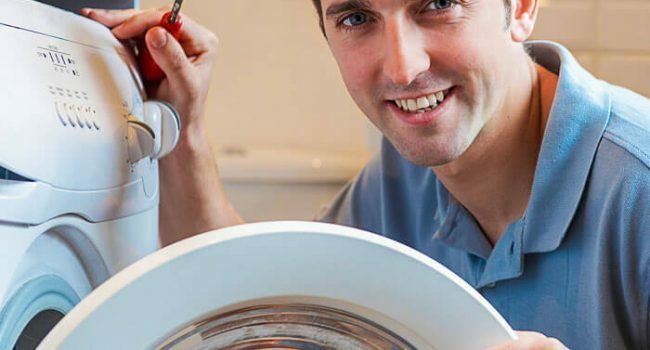 Max Appliance Repair is a family-owned appliance company and, as such, we always put our clients first. We understand the value and importance of each and every household appliance which is why we make your convenience and budget our top concerns. Our goal is to make our first visit, our only visit! Having your own reliable washer is essential if you want to avoid hand washing or regular trips to the laundromat. When your washer is not performing as it should, this can be a major cause for concern. However, with Max Appliance Repair, you can be sure that speedy repairs are on the way! Our same day service will have your washer back up and be running promptly so that you can continue about your day. No matter the problem or make of your washer, Max Appliance Repair will be right over to take care of the issue. A: We understand that you need your washer sooner rather than later. This is why we offer same day washer repairs throughout the Greater Houston Area. We also come prepared with tools and parts to perform repairs on the spot.